1) Wood - Taking a piece of wood would take some time, judging my skills it might turn out ugly and you need to oil and maintain it. 2) Paracord - I think it'll look silly, feel weird and wear over time, for a cord I can just tie a paracord to the hole in the end anyway. 3) Leather - that could work but I have no clue on how to approach this tang with leather straps, most videos I've seen show a thin tang with sheets of leather stacked on top of each other then shaped into form. Which of these would be best for an easy to make knife handle? 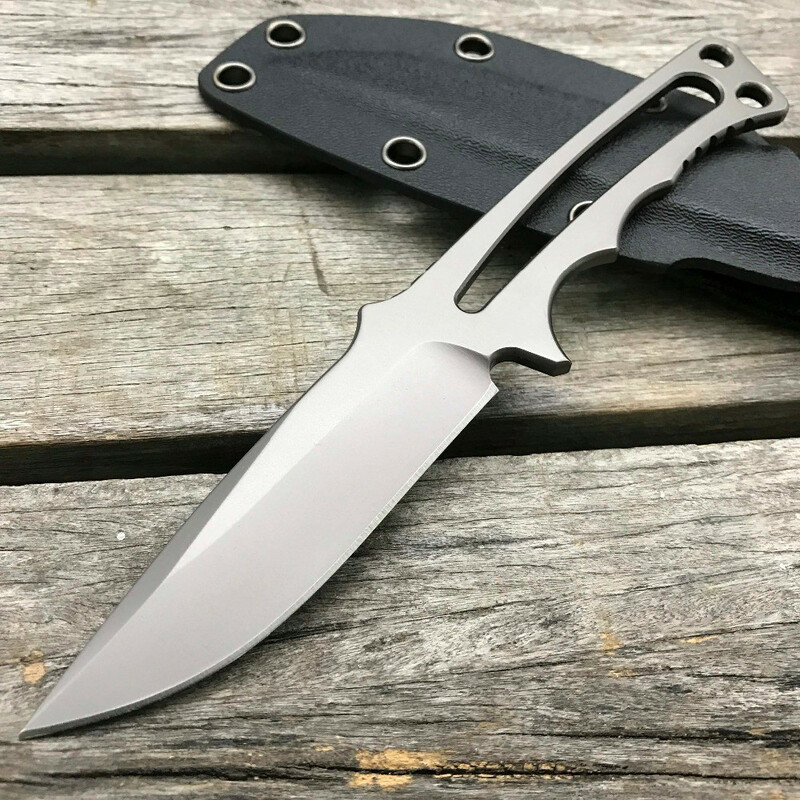 As Chris H points out, this knife has a skeleton handle rather than a normal tang, and it's really intended to be used either as is, or with a paracord wrap rather than anything more solid - for more on that, here is an article showing a couple of ways you can do that. You can make a wood handle for this knife, in much the same way as you make handles for knives with full (rather than stick or enclosed) tangs. You'll probably want to fill the void in the centre of the knife, and match the chamfer of the edge, so it will be more involved than making a handle for a full tang knife, but still very much doable (depending on your skills). I'd note that you can varnish wood to maintain it, so oiling isn't strictly necessary, it's merely one way of finishing the wood. A stacked leather handle (as you've mentioned in your question) isn't really possible here as the technique relies on having a fairly large area of leather around the tang, which you don't have. You could make a wrapped leather handle, in which you cut a piece of leather to fit around the handle and sew it on over the solid foundation (this article shows the technique, albeit on an axe haft rather than a knife handle), or you could even use leather thonging in the same manner as the paracord wrap. The paracord wrap is by far the easiest of the three methods; the other two methods require tools, more expensive materials and a fair bit of specialist knowledge; while the paracord only needs a length of easily (and cheaply) available paracord and a bit of time to follow instructions. A cork tree made of other materials? Can I make handmade invitation cards on a tight budget?